A discussion with Professor Sudeep Bhatia, Assistant Professor of Psychology, and the Wharton Neuroscience Initiative (WiN). Interview and write-up by Eva Schottenstein (C’21). Bhatia: So I’m an assistant professor. My primary appointment is in psychology, though I have a secondary appointment in marketing. I’ve been at Penn for about three and a half years. My work is at the intersection of cognitive science and behavioral science, so most of my lab builds computational models of human behavior, models that are inspired by what we know about cognition (as well as new advances in computer science). I came into the study of human behavior and cognition because when I was an undergrad, I was very much interested in choice, almost from a philosophical perspective. Eventually, I wanted to study choice and choice behavior, empirically or scientifically. I got drawn to behavioral economics, which was a very promising research field, both then and now. I did my PhD at Carnegie Mellon in behavioral decision research which is basically a field of psychology and economics that studies human choice behavior. While I was getting my PhD, most of my roommates were in computer science, so I kind of got sucked into that world as well. So now I combine computer science, cognitive science, and behavioral science, and try to put them all together. (WiN): What brought you to Penn? Bhatia: It has an amazing behavioral group across Wharton, the School of Arts and Sciences, and the Medical School. (WiN): What else are you involved in on campus? Bhatia: I work as a professor, I do research, I have a lab called Computational Behavioral Science Lab. I teach Behavioral Economics. I teach a class called Modeling Choice Behavior, which is the coolest class ever. I get students to build computer models that simulate their own decisions. So the whole class ends up being about how we can build a computer model that mimics the mental processes that we use to make choices; that makes choices just as we make choices. Bhatia: I think when I was an undergrad, I realized that one could do research for a living, so that’s when I got really interested in doing research. (WiN): What are your research interests? 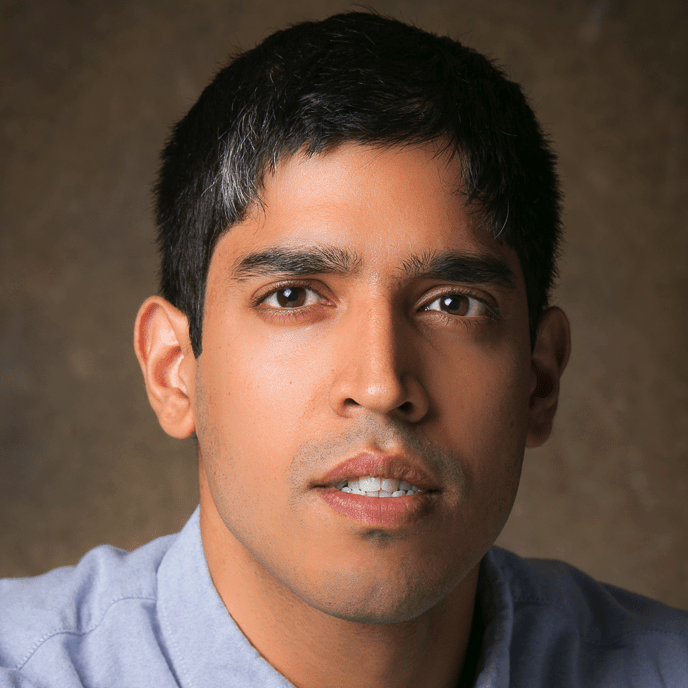 Bhatia: I build computer models of human behavior that are inspired by insights in cognitive science, by methods in statistics and computer science, and, of course, by psychological research on human behavior. My research is basically in at the intersection of psychology, cognitive science, economics, and computer science. (WiN): Can you tell me about any of your research projects (past, present, or future)? Bhatia: So it has become clear to me recently that there is an overarching theme in my research. The theme is: How can we find structure in behavior? There are three elements to this. The first one is structure in theory: How can we build an ontology of the psychological and economic models that have been generated over the past 70 years? The second one is structure in cognitive processes: How can we describe the mental processes used to generate behavior using a small, coherent, set of insights. The third is structure in knowledge: How can we characterize the mental representations used by people to make judgments and decisions? We have lots of interesting projects on all three elements. (WiN): How can people/students get involved with WiN? Bhatia: If you’re interested in doing research, just know that it’s an amazing job. You are advancing the boundaries of human knowledge. It is really stimulating; you are using your mind to its fullest potential. It’s the best job in the world. So if you want to get this awesome job, the way to go about doing it if you’re an undergrad is to go talk to some professors whose research you like and get involved in their projects, typically as a volunteer research assistant. If you do that work well, very quickly you’ll find yourself getting more and more responsibilities, until you’re in a position to lead your own research project, perhaps as a senior thesis paper. This will be the foundation for a PhD application, where you will get formal training in academic research in a particular discipline. (WiN): What can the average business person with limited exposure to neuroscience take away from neuroeconomics? Bhatia: Sometimes we forget that human behavior is a byproduct of a set of biological and computational mechanisms. So there’s a science to human behavior that you can and shouldn’t overlook. The best way of thinking about human behavior is from a purely scientific perspective, which is that it is the outcome of a biological system that does information processing, typically to maximize the rewards to the organism, in this case the human, or the consumer, or the manager. So, even though we don’t have the penultimate theory of the neural basis of human behavior or the neural basis of decision making or of neuroeconomics at this stage – eventually, we will. It’s good to know that that’s going to happen, and I’m pretty optimistic about it. Busemeyer, J. R., & Townsend, J. T. (1993). Decision field theory: a dynamic-cognitive approach to decision making in an uncertain environment. Psychological review, 100(3), 432. Landauer, T. K., & Dumais, S. T. (1997). A solution to Plato’s problem: The latent semantic analysis theory of acquisition, induction, and representation of knowledge. Psychological review, 104(2), 211.